On-the-ground sources tell us that thousands of newly displaced people have been fleeing the destruction of their villages in Darfur and are trying to make it in to the also unstable and dangerous Chad side of the border. Attacks come from air and ground, with bombs falling from the sky and dozens of trucks riding in to destroy the Darfuri villages. A more complete report will come soon. Thank you for making the world aware of the realities on the ground in Chad, Africa. 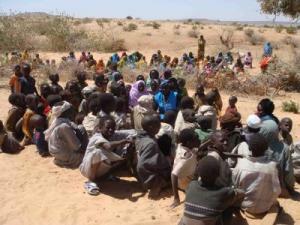 For our part, we are leading a campaign of prayer for Chad, and, by extension, for Sudan and the Dar Fur region. We welcome the prayers of everyone, and elicit prayer for everyone, regardless of religion, nationality or ethnic background. Our blog provides the latest news available from Chad to help you to pray with an understanding of the realities on the ground. Thank you in advance for praying and thinking about Chad!